Learn how to be healthy just like Doc McStuffins. Take a test to see how much you know about healthy habits, try your hand at exercises such as frog jumps and lunges, and design a Healthy Hero badge. Visit the Play Pals exhibit and measure, weigh, and test the vital signs of your favorite stuffed animals in the GUND Teddy Bear Check-Up area. 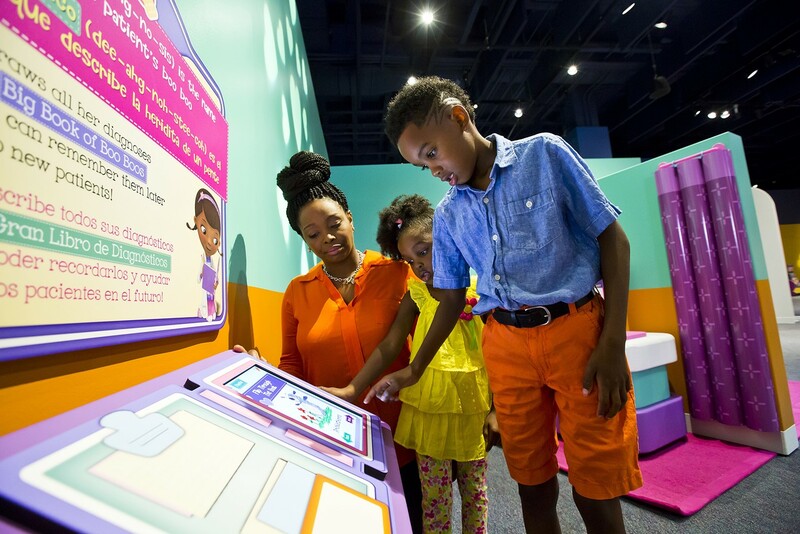 Then use your new skills in Doc McStuffins: The Exhibit. Included with general museum admission fees.